Can’t really explain what happened to me here. There is obviously a new taste profile that the judges are liking better than what they liked last year. It’s going to be my job now to figure out just what that is, or give them something even better. 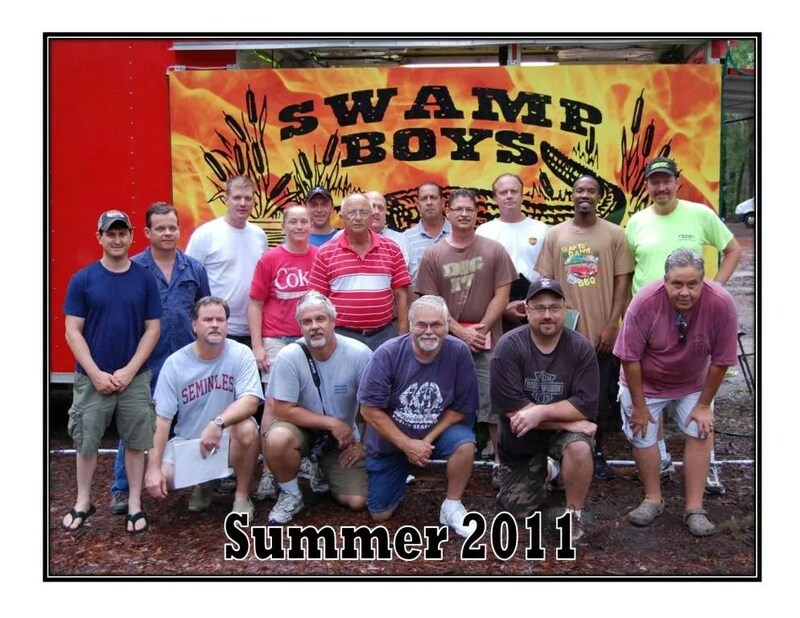 But the big story for the weekend was recent Swamp Boys Q School graduates Unknown BBQ. Jason, Lee, and Clark all took my class just less than a month ago. This was their first FBA contest since the class, and they had never won a first place in any category, or a Grand Championship. Well, they won a first in chicken, a first in ribs, and a first in brisket, along with Grand Champion. I’d say the class paid off for them! Congratulations guys! I got to go to this contest it’s first year and had a great time. I missed going up there last year, so I was happy to see that it worked with my schedule for this summer. The drive up was 8 hours and I arrived around 10:30pm. I got out of the truck and right away felt the heat and humidity. It was still 86 degrees at 10:30 at night! Needless to say the heat was the talk of the weekeend with highs in the low 100’s during the day.